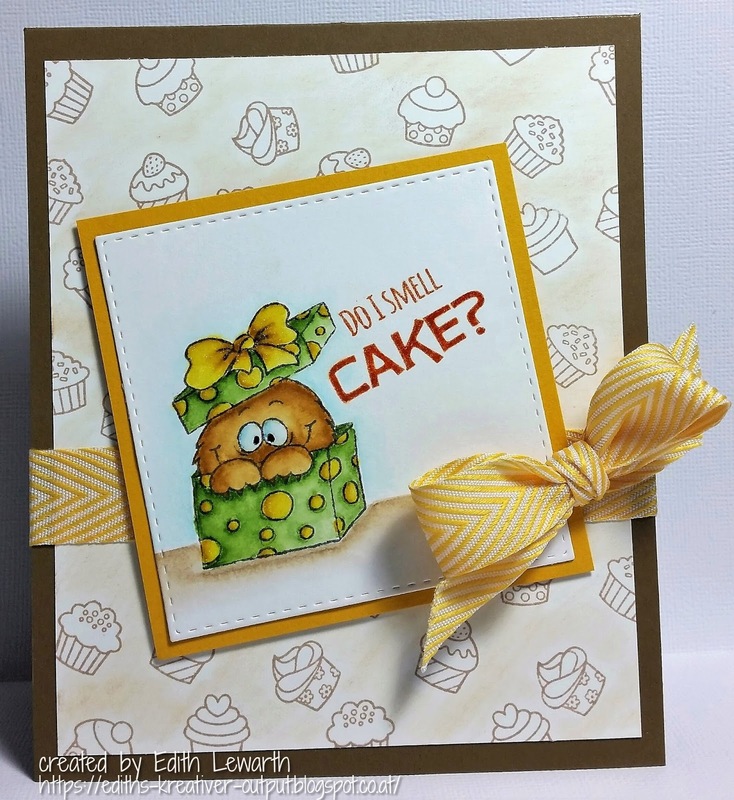 Guest Designer - Two Cards & Two Videos by Therese Calvird! 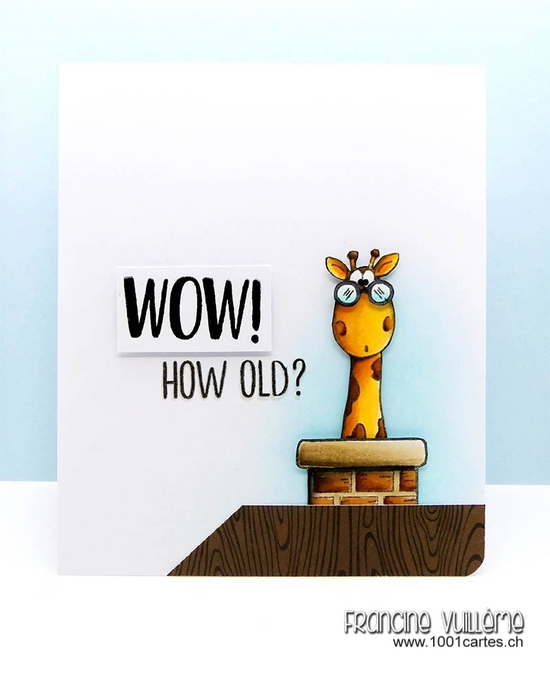 I'm Therese from www.lostinpaper.com and I am so excited to share two cards and two videos today. 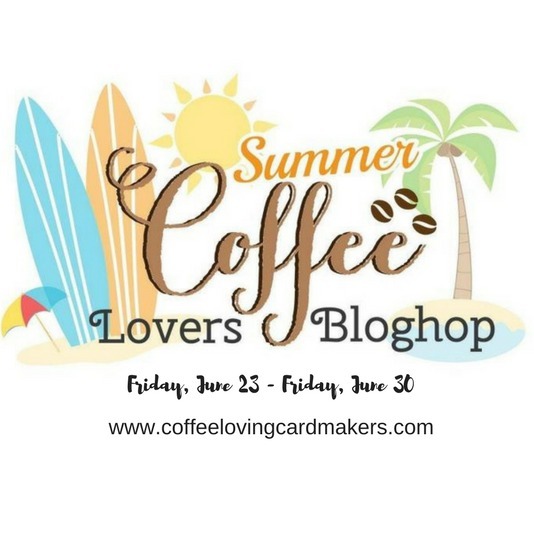 My first design features a sweet stamp set called Coffeesaurus and can you tell just how happy he is to be part of the 2017 Summer Coffee Lovers Blog Hop! Head on over to find out how you can WIN! I filmed as I created so you could watch the process. I kept the design fun and simple and used a sentiment from Hedgehog with Sign so that I could use this as an all occasion card, who knows when you are going to need a coffee drinking dinosaur, right? 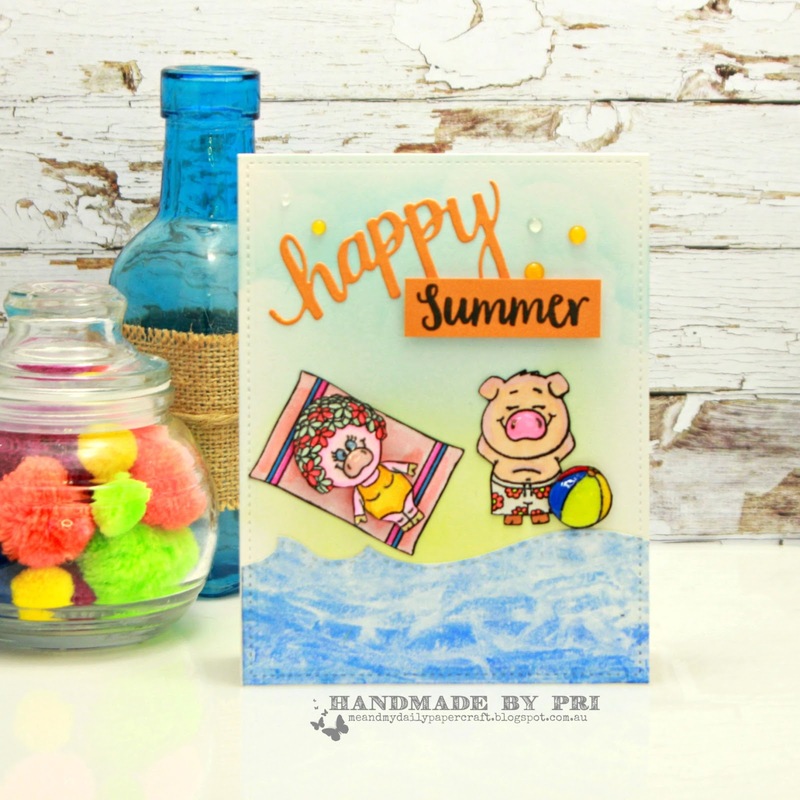 For my second design I wanted to make it look like this little Pool Piggie was in a swimming pool and I thought it would be fun to make an easy Circle Slider card. and I have a video here showing you how this came together. Hello...Pri here guest designing for Gerda Steiner Designs today...and I'm sharing yet another creation that I have made using the Pool Piggies stamp set...I guess I was on a roll when I was creating cards with this stamp set...loved every minute..!! 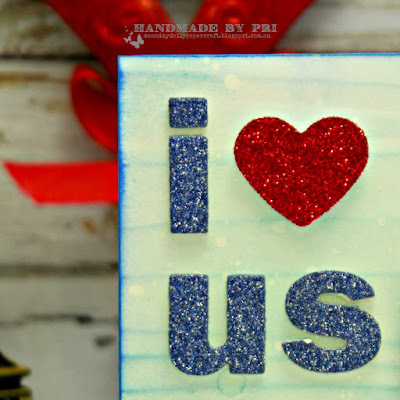 Using my alphabet dies and a heart die,I die cut the sentiment from glitter cardstock and layered it with white craft foam and adhered it at the top left of my card.. 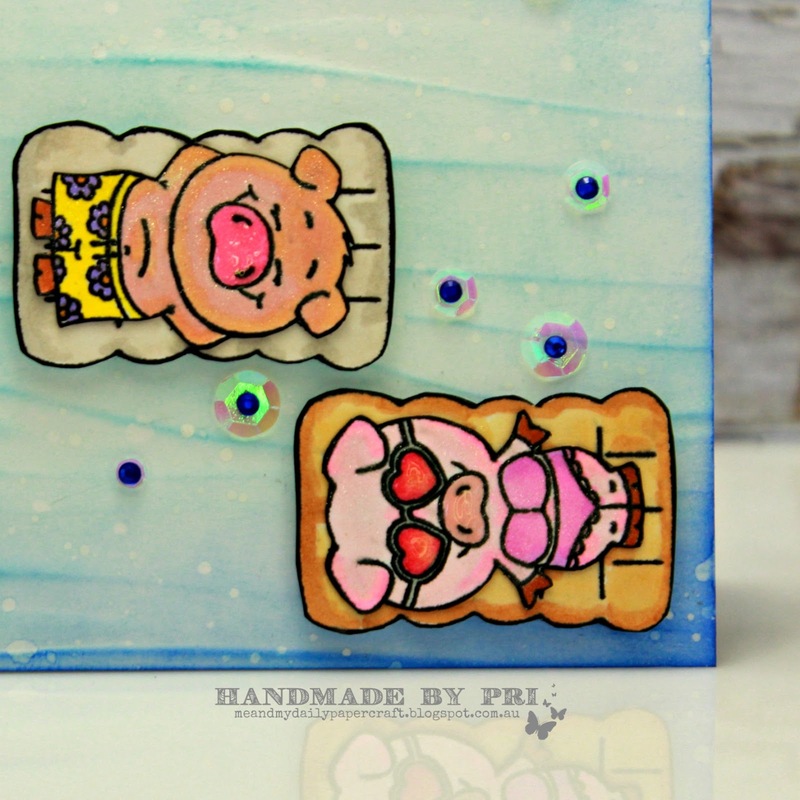 I'm so glad you stopped by the blog today...if you'd like to purchase the Pool Piggies stamp set and/or matching dies please head over to the Gerda Steiner Designs online store...you'll find many more stamps,dies and digi's there..
Its Hazel from Didos Designs here with some super cute Pool Piggies today. 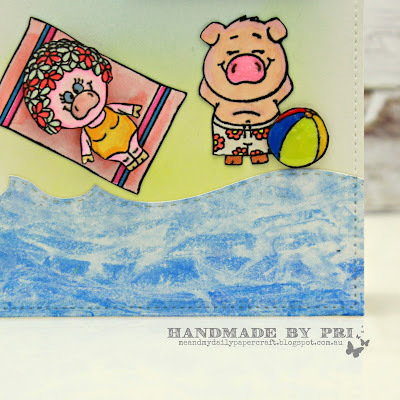 I have coloured my piggies with promarkers and have used a variety of die cuts for the summer beach feel. Then using a cloud stencil and some blue ink,I sponged in lightly to create the cloudy sky...I stamped the sentiment using blue ink and then ran the whole top layer through my Cuttlebug using a large stitched rectangle die.. Thanks for your visit today...Have a wonderful day ahead..!! Happy Hello Everyone and welcome to Monday!! 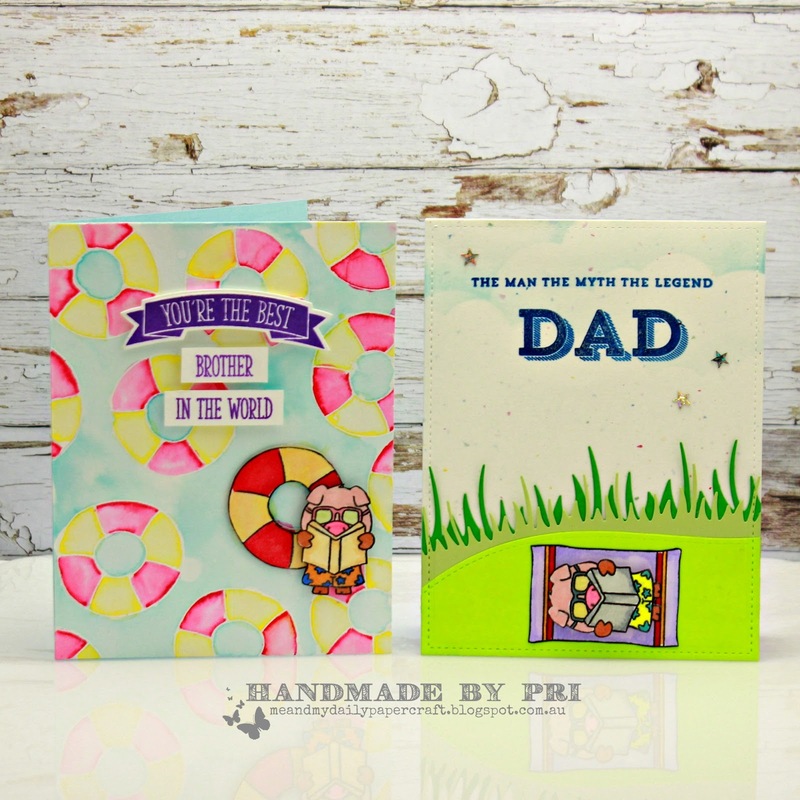 It's Mindy from Paper Creations by Mindy back guest designing for today! 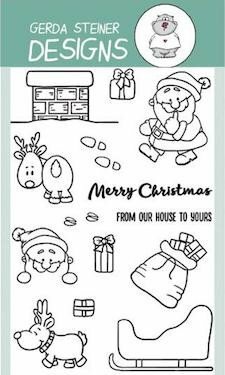 I have a super fun card to share with you! I love the All Cats set and it went perfectly with my new pawprint stencil! 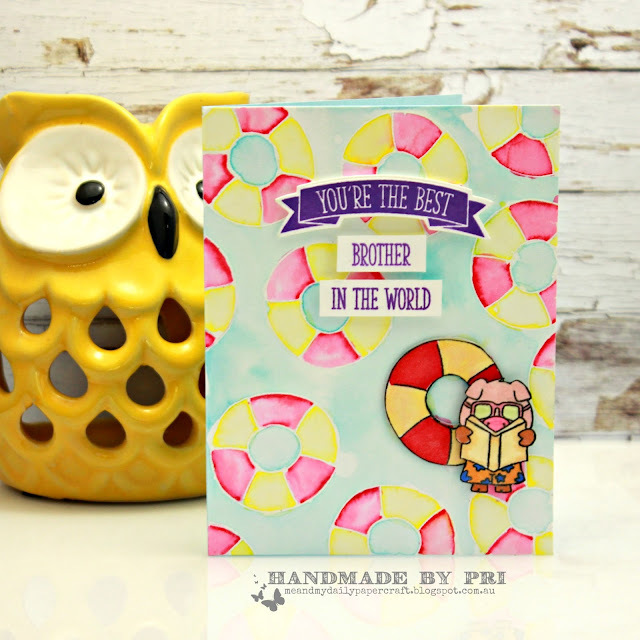 This card is super easy to make but has so much character! 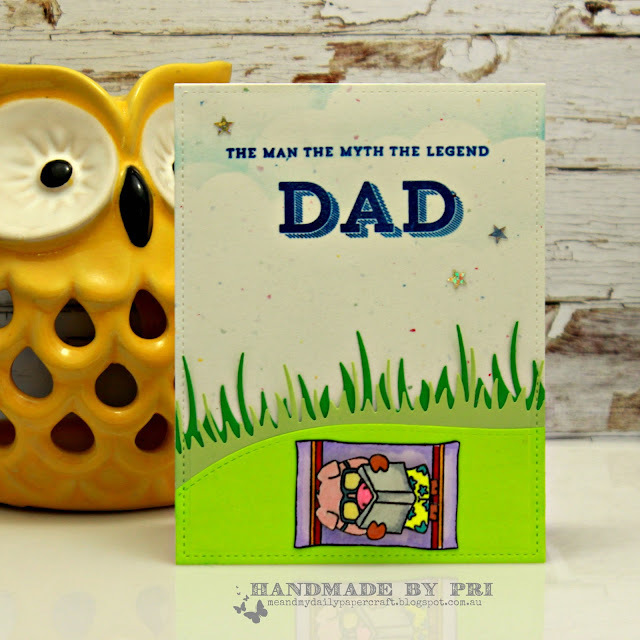 I matched some distress ink with my cardstock and applied that to my card with the stencil. I cut out my sentiment strip with my flag die and added the fun "Stay Pawsitive" sentiment from the All Cats stamp set. This cat image I thought was just hilarious so I stamped it in Memento Tuxedo Black Ink, colored it with my copics and cut it out with my Scan N Cut machine. I attached my card base and stenciled background together, added the sentiment strip and used foam squares to pop up my grumpy kitty. To finish it off I used some matching Nuvo Crystal drops. Hello...Hope you're having a great day....Pri here as a guest designer today with two summer cards that I have made using the Pool Piggies stamp set...if you follow Gerda Steiner Designs on social media then you must have seen a lot of cute summery cards 'floating around' recently...(pun intended).. I die cut three strips of watercolor cardstock using wave border dies and then sponged in three different shades of Distress inks on them...I have used salty ocean,tumbled glass and broken china shades here...I also splattered a bit of water on these strips for a bit of interest..
Now my second card is a simple and quick one...I used a top folded white card base for this one and a white top layer as well...I have lightly sponged in some Distress inks on this top layer to create the background..I have used tumbled glass and twisted citron shades.. I die cut the word happy from a shimmery orange cardstock and stamped the word happy on a strip of the same paper and placed them on the card...I added the piggies on the card and added a few Nuvo drops to embellish my card.. 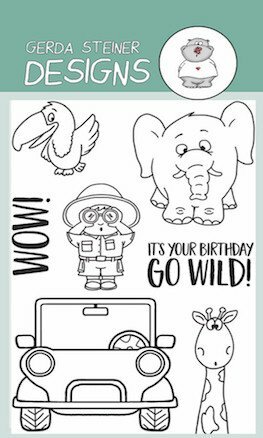 Thank you for stopping by today...you can go to the Gerda Steiner Designs online shop if you'd like to purchase this stamp set and/or matching dies...and many more...!! Its Hazel (Didos) here from Didos Designs here as a Guest Designer for Gerda and Macy again. I have a slightly different card to share with you today. I think the little piggies on it are playing peek a boo!!! I got the idea for the card from online. Its called a Magic Reveal Spinner card. My Piggies and their beach balls are all coloured with Promarker Alcohol Pens. 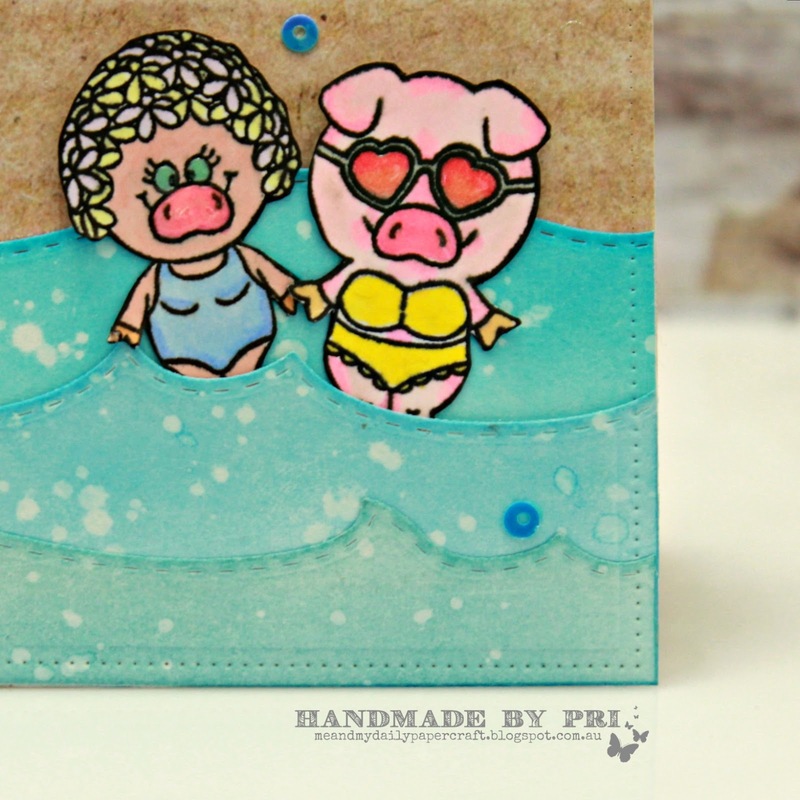 It's Mindy from Paper Creations by Mindy and I'm Guest Designing today with the new Pool Piggies set. It is super adorable!! Today I have a cute shaker tag AND a video to share! I decided to try using some foam instead of foam tape for my shaker window and I love how it worked out! Be sure to check out the video to see the full process. 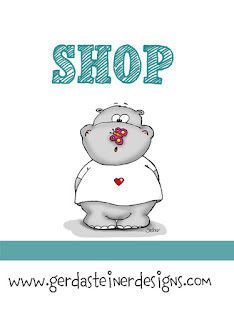 Recently I received "happy mail" again - Jippie!!! With little funny monsters inside! Needless to say, I had to try it out straight away. 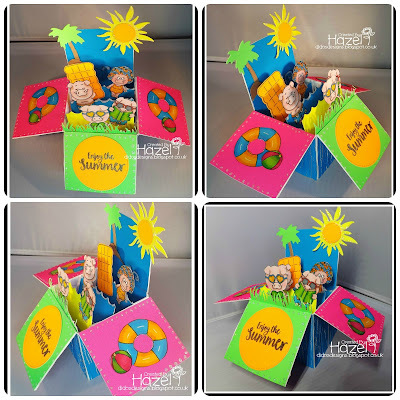 My first creation, was this birthdaycard for a very dear colleague. Using Masking Tape I stamped the little monsters und colored them with Copic Markers. Then I cutted them out using MFT Stitched Circles Dies. Afterwards I cutted a bigger circle and placed the monstern on top. 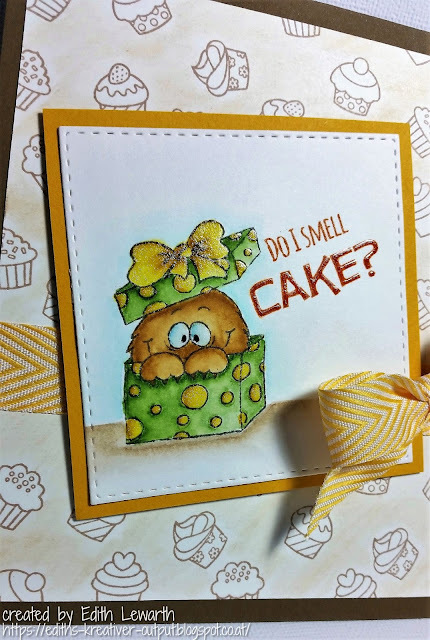 As background I used a banner made of design paper, stamped the Sentiment in between and embossed with white Embossing Powder. Adding ribbons, sequins and some glitter and glossy accents and - et voilà!!! 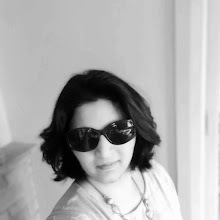 Its Hazel here from Didos Designs. Im Delighted to be back as a Guest Designer again with Gerda and Macy. 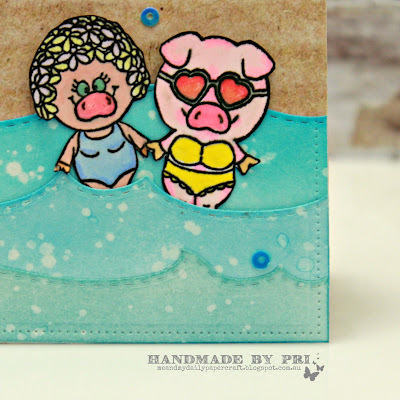 I was so excited to get to play with the Super Cute 4 x 6 Acrylic Stamp Set Pool Piggies. For my card I thought they would look great with some piggie holiday selfies. So I found Polaroid frame png image and reduced to to fit the super cute dinky stamps. I have used distress inks for the sky background on the pics and coloured my piggies up with promarkers. I found some summer papers in my stash and thought htey would work brilliantly. Finished it off with the sentiment stamp which comes in the collection too. I hope you like my creation. You can get the Pool Piggies Die Set in store too. Thanks for dropping by today,.